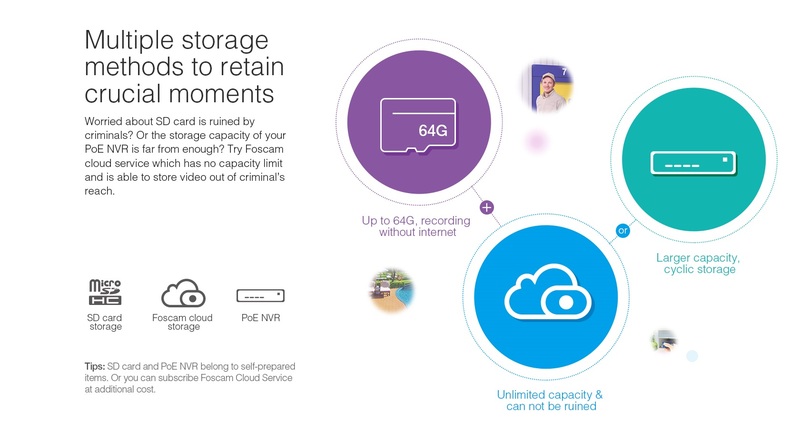 The FI9961P combines a high-quality HD digital video camera with a powerful built-in web server to provide live video anywhere. All that's required is an internet connection and viewing device such as a smartphone or desktop computer. The "Plug and Play" setup process is easy: simply scan the camera's QR sticker with your smartphone and it syncs with the camera automatically. 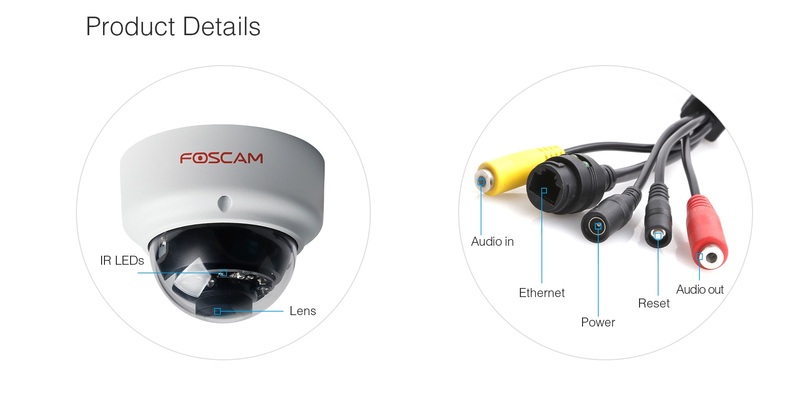 This IP camera comes equipped with two infrared lamp arrays for night vision up to 20m, and sophisticated motion detection with optional alerts. 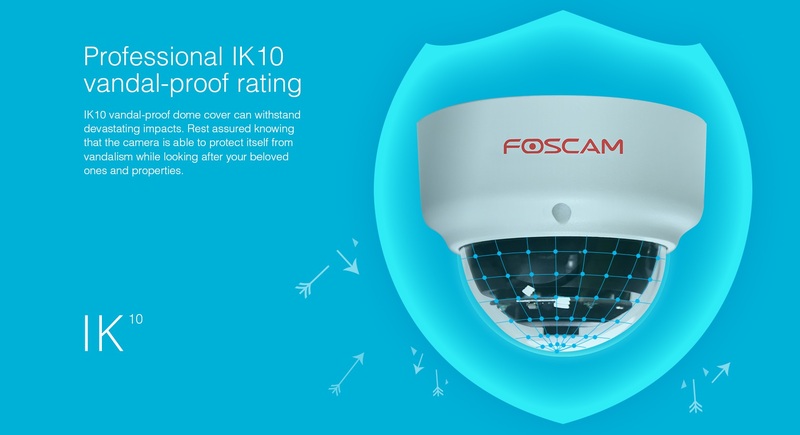 Professional IK10 vandal-proof cover withstands devastating impacts while looking after your beloved ones and properties. 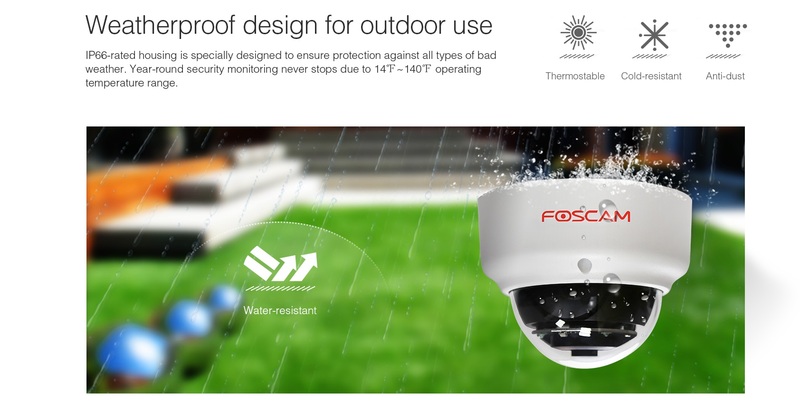 IP66-rated weatherproof design against all types of bad weather.